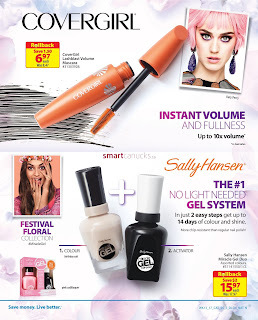 Walmart beauty with Walmart as your spring beauty destination, you'll come out looking good and feeling beautiful, for less.On cover page you can see that Rollback Pantene Shampo 595 mL or Conditioner 525 mL $6.62 save 74c. Pantene fuel your hair with Drea care new shampoo formula! Effortlessly run your fingers through wet hair! 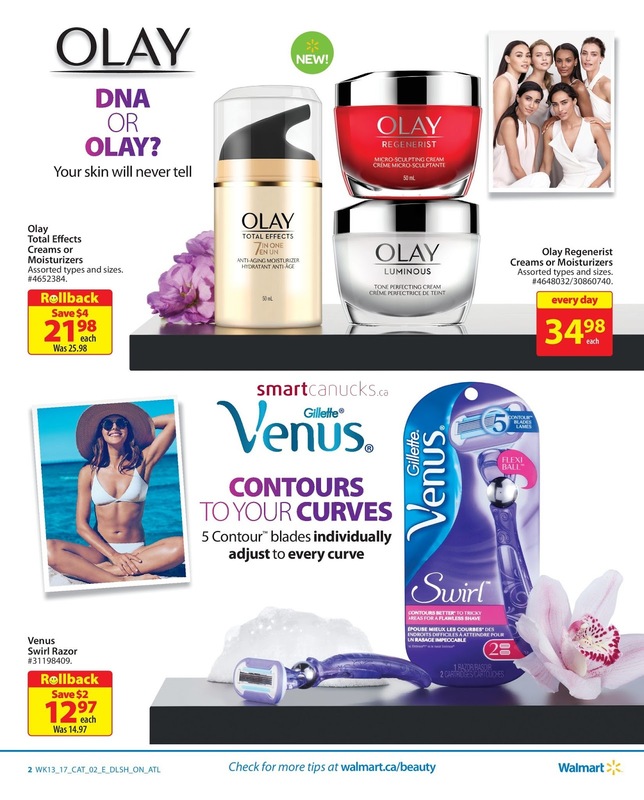 Olay DNA or Olay? 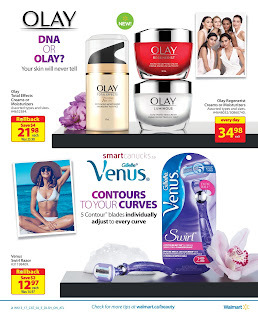 your skin will never tell, Olay total effects creams or Moisturizers assorted types and sizes, Olay regenerist creams or Moisturizers everyday prices 34.98 each, Venus swirl Razor Rollback price 12.97 each save $2, Gillete Venusncontours to your curves 5 Contour blades individually adjust to every curve. 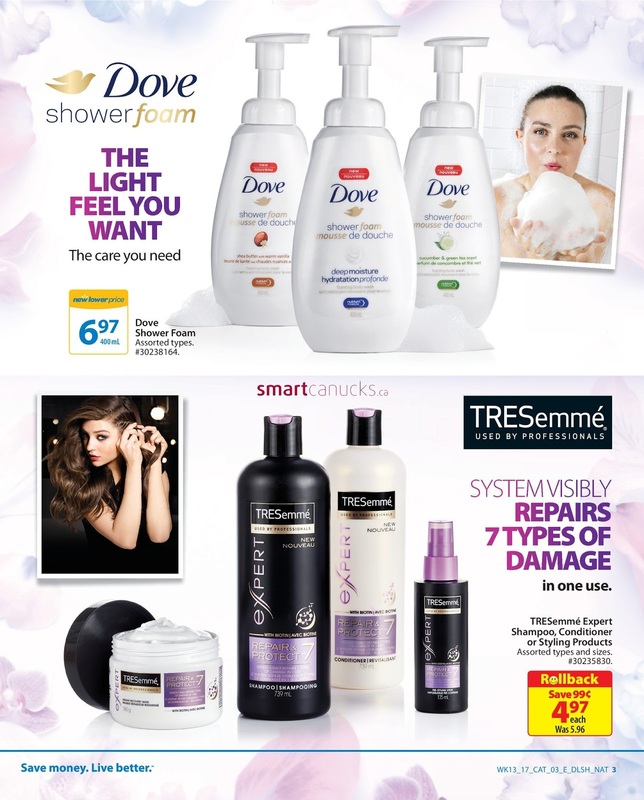 TRESemme system visibly repairs 7 types of damage in one use rollback price 4.97 each save 99c. 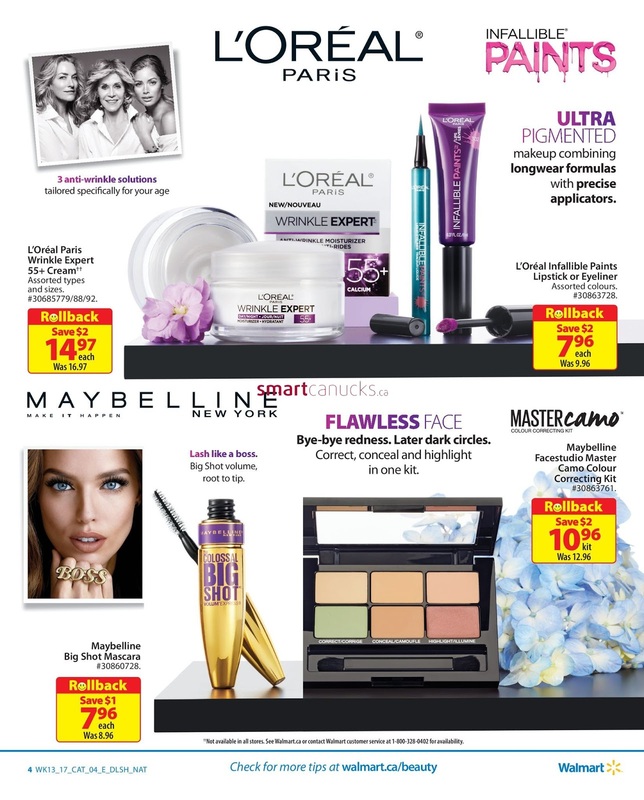 L'Oreal Paris 3 anti-wringkle solutions tailored specifically for your age, L'oreal Paris wringkle Expert 55+ cream rollback prices 14.97 save $2, Ultra Pigmented makeup combining longwear formulas with precise applicators. 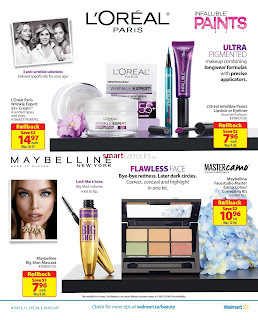 L'oreal infallible paints lipstick or Eyeliner rollback price 7.96 each save $2. Maybelline new york, Maybelline Big Shot Mascara rollback price 7.96 each save $1, Lash like a boss Big shot volume root to tip. Bye-bye redness, Later dark circles. Correct, conceal and highlight in one kit, Maybelline facestudio Master camo colour correcting kit rollback prices 10.96 kit save $2. CoverGirl Lashblast Volume Mascara rollback prices 6.97 eash save 1.50, Instant volume and fullness up to 10x volume, Festival floral collection 1. Colour birthday suit, 2. Activator Sally Hansen the #1 No light needed gel system in just 2 easy steps get up to 14 days of colour and shine More chip-resistant than regular nail polish, Sally hansen miracle gel duo rollback price 15.97 eash save $2.